Big Boi and Andre 3000 have more shows up their sleeves. If Coachella and Governors Ball were not enough, P4K has the news that Outkast will tour over 40 as-of-now-unspecified festivals in 2014. 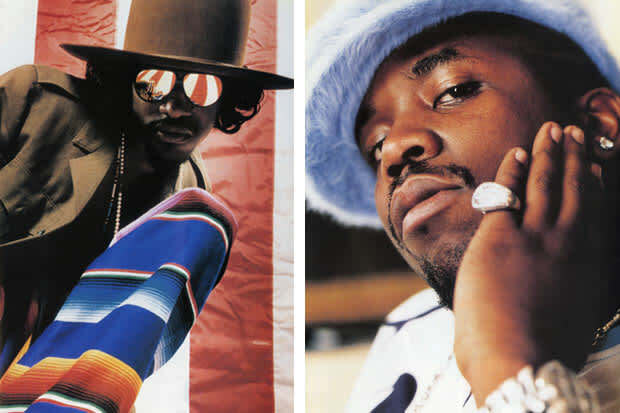 In a post on their official site, Big Boi and André 3000 waxed romantically about their 20 years in the business: "And imagine, all we wanted to do was rap! I am thankful to have been a part of a group that allowed me to explore anything that came to mind and have fun doing it. Returning to the stage together is the most exciting way for us to thank everyone for their 20 years of supporting Outkast,” says André 3000. We'll keep you posted when dates are announced.